info@bestmytest.com Looking for TOEFL prep? This guide will focus on how using our IELTS online test app to practice with IELTS exam simulations will significantly help you achieve your target band score and therefore allow you to migrate, study or work in native English speaking countries. 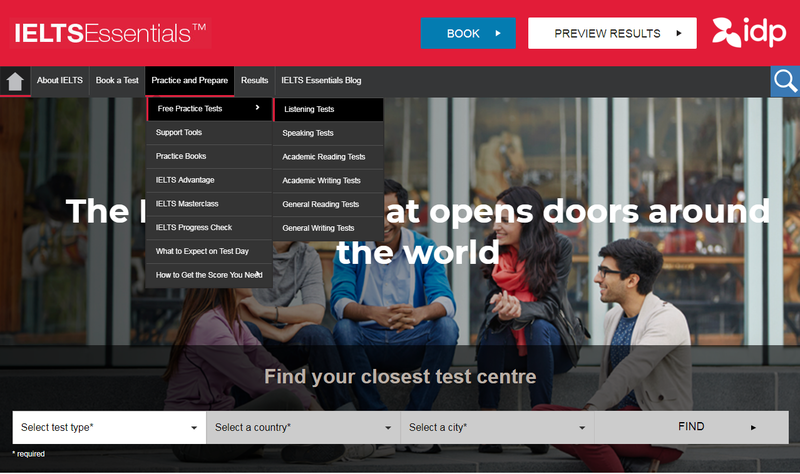 We'll also look at some of the best IELTS test online resources outside BestMyTest including official IELTS exam simulators, IELTS books, free PDF downloads, and other online IELTS preparation websites. When and how many IELTS practice tests you should take? IELTS stands for the International English Language Testing System (IELTS) and is designed to test your English language skills. IELTS is required for people who want to study in, work in, or even migrate to countries where English is used as a language of communication. 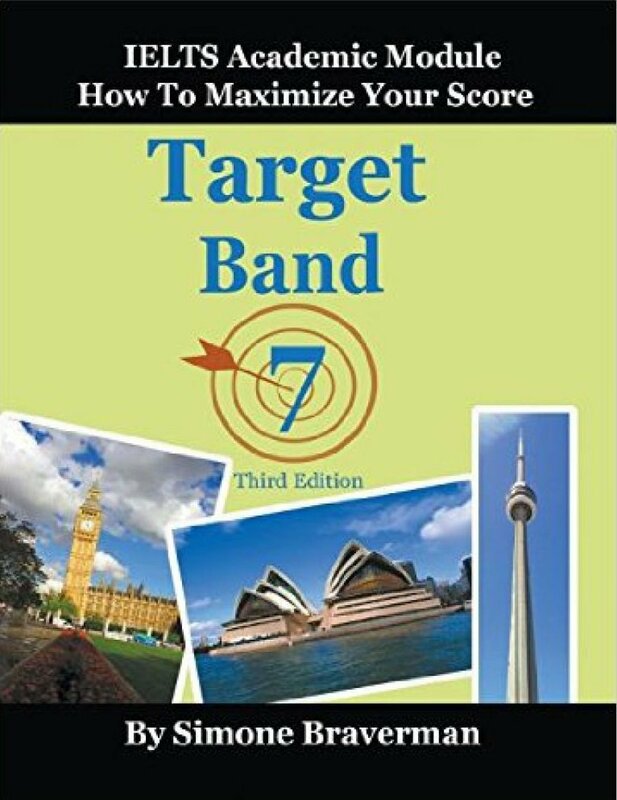 The test is scored using a nine-band scale to help identify levels of proficiency, starting from non-user (band score 1) all the way to expert (band score 9). Who is the IELTS test for? If you're wondering if you should take IELTS, then answer the question below and if you answer yes, then IELTS could be right for you. We always recommend you go to the official IELTS website and contact their support team. They'll be able to tell you definitively whether you should take it. Are you looking to migrate, study, or work abroad in a country where English is the preferred form of communication? The IELTS Academic Test: if you are applying for higher education or professional registration. The IELTS General Training Test: if you're migrating to the UK, Australia, or Canada, or you're looking for lower education like secondary school or work experience. Both versions test you in the following four language skills accordingly: listening, reading, writing, and speaking. The listening, reading and writing components of an IELTS test are completed on the same day, with no breaks in between them. The speaking component, however, can be completed up to a week before or after the other tests. Talk with your test centre about which option is best for you. Below you will find information on each IELTS section. Let's have a brief look at each IELTS test section. We'll go over what each section includes and where you can find additional resources. The listening test is the first test you'll complete in your IELTS exam and is divided into 4 sections each containing a recording. Section 1 – a conversation between two people set in an everyday social context. For example, you might hear a conversation about confirming details for a reservation, or placing an order over the phone. Section 2 - a monologue set in an everyday social context. For example, you might hear a speech about local facilities, or someone providing directions, or presenting basic information about an event. Section 3 – a conversation between up to four people set in an educational or training context. For example, you might hear a university tutor and a student discussing an assignment, or a couple of students discussing something from class. Section 4 - a monologue on an academic subject. For example, you will hear a university lecture from a professor. This is the toughest recording on the Listening exam for most students. Your task will be to listen and answer the questions as they are heard in the audio. You'll only hear each audio recording once, so you only get one chance to hear and answer each question. At the very end, you'll be given 10 minutes to transfer your answers to the answer sheet. Note: The computer based test does not use an answer sheet, so you'll be given 2 minutes at the end to check your answers. The reading test is the second section in the IELTS test and as we mentioned, depending on your situation, you'll either need to take academic or general training. No matter which you take, the overall reading test is the same; You'll answer exactly 40 questions based on 3 different readings, and just like in the listening section, you'll be given an answer sheet to fill in. However, NO transfer time is given. You must fill in the answer sheet within the 60 minutes you have to complete the reading section. So what's the difference between academic and general training in the reading section? The difference is the type of content you read. The academic reading is harder than general training because the reading content is much longer and the content is taken from sources that are appropriate for university level individuals. General training, however, gets its content from material you'll encounter on a daily basis in an English-speaking environment. Preparing with IELTS online test simulations is especially important for a high reading band score; There are many different question types in the reading section, so becoming familiar with them and practicing them in an IELTS exam environment can make a big difference, not just for your score, but also helping prevent stress. The writing section is the third section of the IELTS test and just like the reading section, you'll be taking either the academic or general training test. Again, the overall structure of the test is the same no matter which test you take. You'll complete 2 writing tasks and are given a total of 60 minutes to complete both. Below you'll find details on each task type. You will notice task 2 is the same for both academic and general training. Writing Task 1 - Academic You will be presented with a graph, table, chart or diagram and asked to describe, summarise or explain the information in your own words. You may be asked to describe and explain data, describe the stages of a process, how something works or describe an object or event. Writing Task 1 - General Training you will be presented with a situation and asked to write a letter requesting information, or explaining the situation. The letter may be personal, semi-formal or formal in style. Writing Task 2 you will be asked to write an essay in response to a point of view, argument or problem. Responses to both tasks must be in a formal style. A great technique to improving your writing skills is to compare your essay with high-scoring essays to see how they're structured and how they answered the question. Your goal should be to model your essay like the sample essays. The speaking test is the either the final IELTS exam section or the first depending on what you decided. It takes between 11 - 14 minutes to complete and is some what different than the other sections because you'll be interacting with an examiner in an interview like situation. Even in the computer based test where you're taking an IELTS online test, the speaking section is still done face to face with an examiner and it's divided into 3 parts. Speaking Part 1 The examiner will ask you general questions about yourself and a range of familiar topics, such as home, family, work, studies and interests. This part lasts between four and five minutes. Fully fledged out response. Short answers result in low scores. Speaking Part 2 You will be given a card which asks you to talk about a particular topic. You will have one minute to prepare before speaking for up to two minutes. The examiner will then ask one or two questions on the same topic. Speaking Part 3 You will be asked further questions about the topic in Part 2. These will give you the opportunity to discuss more abstract ideas and issues. This part of the test lasts between four and five minutes. Are you ready to learn how IELTS practice tests help our IELTS users achieve their target band score? Before we begin, it's critical you learn about a couple of big issues students face when preparing for the IELTS exam. You prepare with free IELTS online test resources, yet little to no progress is made. You don't feel confident you'll achieve the required score and your test date is approaching soon. If you relate to one or both of these issues, you're not alone. These issues seem impossible to overcome, but they're not, and we're going to show you exactly how to overcome them now. Take an IELTS practice test to learn where you struggle most. Make sure you get the speaking & writing sections reviewed; The only way to improve your speaking & writing scores is to get detailed feedback on your mistakes. Go through our IELTS LESSONS and learn the necessary skills, tips, and strategies needed to improve where you struggle. We have over 50 IELTS lessons from basic core lessons to advanced lessons teaching specific skills for specific issues. Practice your newly learned skills. Finally, you'll hone your new skills with over 500 IELTS practice questions, 2000 IELTS vocabulary flash cards and interactive exercises, and even more IELTS practice tests. Step 4...Isn't there only 3 steps? Why taking an IELTS practice test is so important to achieve your target scores. So why is it important to take an IELTS practice test BEFORE taking the IELTS? There are 4 major reasons why it's important, so let's look at each one now. The IELTS exam and an IELTS practice test focuses on the same four language skills: listening, reading, writing, and speaking in that order. Therefore, taking a practice test, at least a practice test from BestMyTest, is a simulation of the official exam. This experience will help you feel comfortable and relaxed during your actual exam. Stress is the biggest reason why test takers with a high English level do not achieve their target scores. By going into IELTS unprepared, you're more likely to get stressed from small mistakes that test takers with more experience learned to ignore. That's just one example, but many others exist, so you want to improve your odds by practicing as much as you can. The IELTS test is quite long, around 2 hours and 45 minutes to be exact. Therefore, along with familiarizing yourself with IELTS, taking timed, full-length IELTS practice tests will help you prepare your body and mind to sit through the entire IELTS exam. Think of it like preparing for a marathon. You cannot show up and run 10 miles unprepared; it takes consistency and dedication to train your body and mind to run the whole marathon. Of course, it's not exactly like a marathon, but you get the idea. By about the 3 hour mark, if you are not utilizing our tips and strategies from how to score high in IELTS, you may run out of energy. Our IELTS lessons will help teach you when and where you should focus your energy, so you are not wasting it on things that don't matter. It's not easy finding English study material similar to the official IELTS exam. The quality of questions you practice matters, and it matters a lot. If you practice easy questions, you're going to do poorly, especially, on the reading and writing section. Now, If you're interested, you might be able to find good reading passages from national geographic, academic essays from certain school websites, and good speeches from TED videos, but none of them come close, in terms of length and format, compared to what you'll experience from the official IELTS test. Because of this, you should not solely rely on them for your IELTS preparation. Last, but certainly not least, an IELTS online test is a great way to identify your strengths and weaknesses. As we've mentioned, there are four sections: listening, reading, writing, and speaking and even though your reading scores might be excellent, you could struggle with the speaking section. In this case, the speaking section would be considered your weakness and could be the reason you fail to achieve your target IELTS band score. By taking an IELTS practice test, you'll be able to diagnose and improve your weakness or weaknesses and significantly improve your chances of scoring high in IELTS. What makes an IELTS practice test great? Questions including passages and audio lectures are close to the official IELTS in terms of difficulty, length, and style. The format and structure are identical to the official IELTS test. In summary, a good IELTS practice test can give you the most authentic test experience possible and offer you add-on tips, teaching, and answers to help you improve and learn better. When and how many IELTS practice tests should I take? The simple answer is as many as you can. However, maybe you don't need to take that many. perhaps you only need to take 1 or 2. It really depends on your progress. You should utilize the practice tests diagnostic reports to determine where you currently stand. Besides our IELTS practice tests, you can also find practice tests from the British Council and the Cambridge IELTS. Both of them are the makers of the IELTS exams. The following sections are where you can find free and paid official IELTS practice tests. The creator of the IELTS exam, The British Council, created two full length practice tests for both the Academic and General Training test types. This free resource is a great place to start to become familiar with question types and difficulty and the test format. However, there are two critical factors you should be aware of. The listening and reading section just gives you links to download and print the answer and question sheets. There is no timer, as well, so you'll need to time yourself. Overall, it's not designed to be user friendly. Developed by British Council, both IELTS Practice Materials 1 & 2 books contain a full-length practice test and additional mock tests for Reading and Writing (both Academic and General Training) sections. What's special about these two books is that they provide sample speaking and writing responses along with examiner comments, allowing you to learn how to give a high-scoring speaking or writing response from an IELTS examiner's point of view. Both of them also come with a DVD comprising audio files for the Listening test and film footage of three students taking the Speaking test. You can also find both volumes from Amazon or your preferred online retailer. Road to IELTS is an online IELTS preparation course developed by British Council. The course includes numerous interactive activities, videos tutorials, and 9 full IELTS practice tests. However, to access all content, you need to pay from $49.99 to $159.99 depending on the length of the subscription. Overall, it is a great place to practice IELTS questions. However, the biggest downside is that its speaking tests don't actually simulate the real experience of an official IELTS test having an examiner asking you questions face-to-face. IELTS Essentials offers the same free official IELTS practice materials from IELTS.org. Reading and listening questions are organized by question types, so you won't be able to experience taking a full reading or listening section. 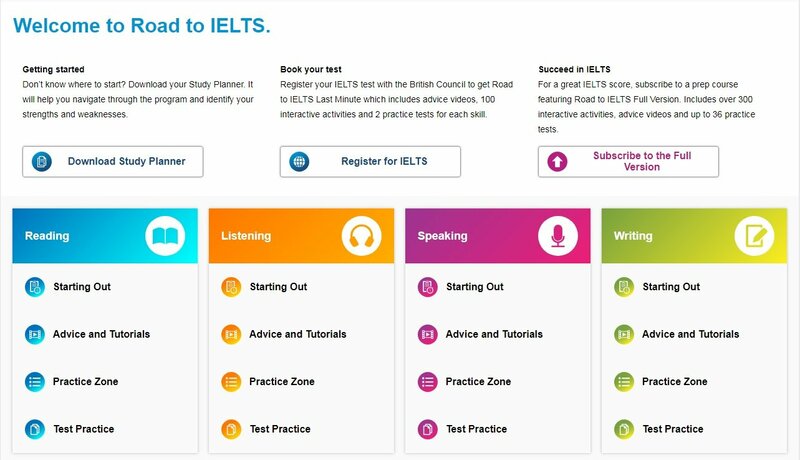 Like The British Council's IELTS Online Practice Test, there is no user-friendly test interface, you will have to download PDF and listening files to practice the questions. 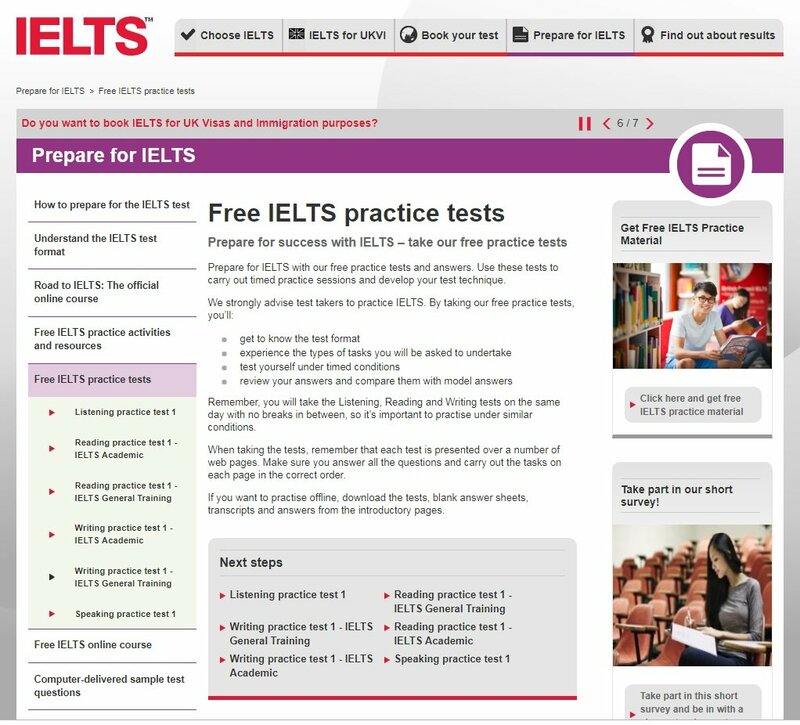 To access IELTS practice materials, you can go here: IELTS Essentials. A lot of people might not know this since the practice materials are not available to the public, but The Cambridge IELTS website offers a wealth of free IELTS materials including IELTS question sets, full IELTS practice tests, IELTS video presentations, and helpful training materials to help you improve your band score. However, you'll have to register on the website in order to access them. 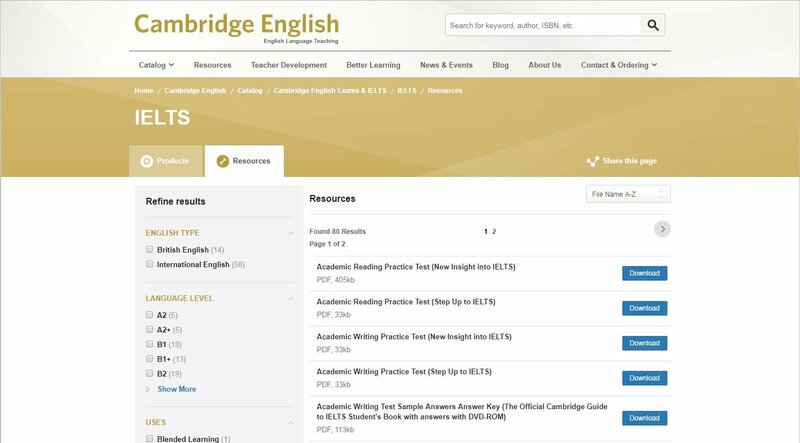 To access all 80 IELTS practice materials on Cambridge.org, you need to start by registering for a Cambridge IELTS account. After signing in, go to the Resources tab of the the Cambridge IELTS Products and Resources page. 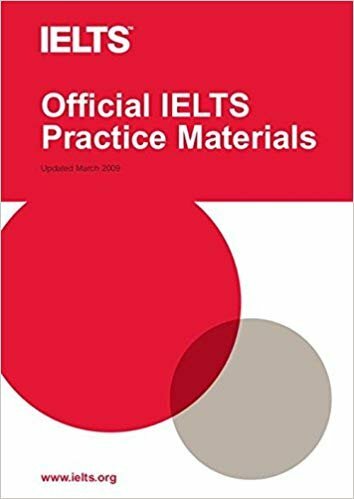 This book includes six full-length Academic IELTS practice tests, two full-length General Training practice tests, and step-by-step instructions and helpful tips for handling each section of the IELTS exam. The Cambridge Guide is an official guide made from the actual test writers. This means that the sample tests and questions are very similar to what you will see on the actual test. This book is also a very good guide to learn what to expect on the exam. It thoroughly goes through each section of the test so that you are not surprised on your exam day. The only downside of this books is it does not have enough concept review on the topics compared to other prep books. If you are looking for in-depth concept overview, you may need to purchase a supplemental review book. Overall, this book can serve as a boon to the students who are preparing for the IELTS exam and can be considered to be a must-have for those who wish to achieve success. Contains four full-length practice tests, plus extra Reading and Writing modules for General Training. Includes tape scripts for speaking and listening sections and model essays for writing sections. Contains a full introduction to the entire IELTS test including its format and scoring. 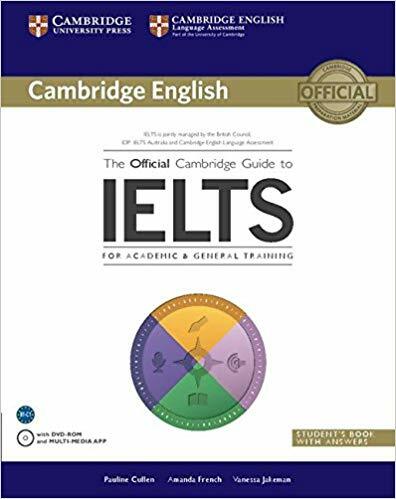 Cambridge IELTS 1-13 are considered to be must-have books for people who want to improve their IELTS band scores through a lot of practice. The later editions such as Cambridge IELTS 10,11,12 and 13 follow the current standard that are being followed in real IELTS exams. Therefore, it is advisable that you buy Cambridge IELTS 13, then Cambridge IELTS 12,11,10 ..so on. 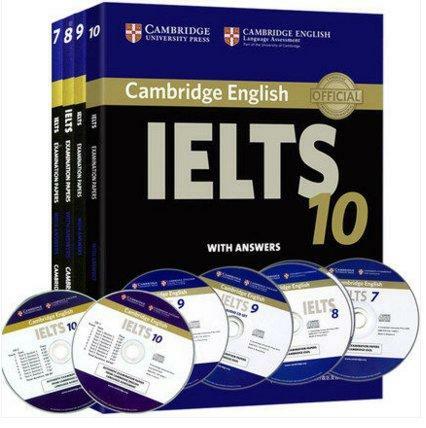 You can shop for all the Cambridge IELTS editions at Cambridge English and IELTS. You can also find them from Amazon or your preferred online retailer. Besides the above official online IELTS practice tests and book resources, there are other unofficial supplemental IELTS books out there to help you hone your test-taking skills. Below we've presented the top 2 most popular unofficial IELTS Books. Let's have a look at the advantages and disadvantages for each book. 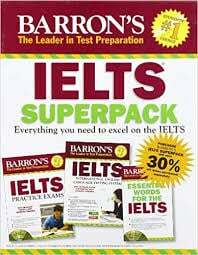 There are 8 full-length IELTS practice tests. In terms of quality, some of the practice test questions are of lower difficulty than what you will see on the actual exam. Also, the listening practice test questions are some what different from the actual test. The pros are it teaches a lot of useful IELTS skills and provides many skill-building materials. It has very good theory reviews on the reading, writing and speaking sections. In all of these sections you will learn everything from concepts to test taking strategies that's necessary for the IELTS exam. This book is written by a former test-taker. It contains a full practice test and strategies for each section which focuses on helping students improve their task-solving quickness and proficiency. What's special about this book is that it does an excellent job explaining how the test makers try to trip you up on the exam. Overall, this book is short, concise, and to the point. You do not waste time learning things that you do not need for the IELTS online test. Because of its conciseness, it is great for time-strapped test takers who already have a decent grasp on the English language and are looking to quickly increase their score. However, it only comes with one full practice test and lacks language-building exercises that can help improve your English. If you plan on trying our online IELTS preparation course, one question that gets asked a lot by our free trial users is "What is the best way to prepare for the IELTS". And the answer we give every time is to use our 3 Step IELTS Preparation Guide proposed at the start of this IELTS practice test page. What can I expect from your IELTS Tests? Our IELTS practice tests and IELTS simulation tests are designed to make you feel like you are taking the official IELTS exam. Questions including passages and audio lectures are close to the official IELTS in terms of difficulty, length, and style. You'll gain confidence knowing what to expect on test day. You'll have access to 20 full-length 2.45 hour long practice tests giving you estimates of where you stand compared to the actual IELTS exam. You will also get grading and feedback on your speaking and writing responses. The IELTS Simulation Tests are different from the IELTS practice tests because the practice tests use recycled questions from our "IELTS QUESTIONS" area, while the IELTS simulation tests use new never before seen IELTS questions. What that means is the simulation tests are designed to guarantee a complete IELTS exam experience. This makes the simulation tests extremely useful in your IELTS preparation. All our subscriptions include professional speaking and writing scores and feedback, which are referred to as speaking and writing reviews. It's recommend you use your speaking and writing reviews on the simulation tests. The practice tests are best used for, but not limited to, honing your test taking skills. What is an IELTS Sample Test? Where can I find the resources needed to utilize the 3 step guide? In order to use our IELTS preparation 3 step study guide, you'll need access to high quality IELTS practice tests, IELTS lessons that can teach you specific skills for all IELTS sections, IELTS questions organized into a proper studying area for optimal skill improvement, and 1-on-1 speaking and writing reviews with detailed feedback, so you can learn from your mistakes. You can get all that right here at BestMyTest. You can check us out completely free of charge with zero commitment by signing up to our 7 day free trial. IELTS® is a registered trademark of The British Council, IDP: IELTS Australia and the University of Cambridge ESOL Examinations (Cambridge ESOL). These products have not been endorsed or approved by their respective owners.